O’Henry has been a prolific American short-story writer, a master of surprise endings, who wrote about the life of ordinary people in New York City. A twist of plot, which turns on an ironic, comic or coincidental circumstance, is typical of O’Henry’s stories. 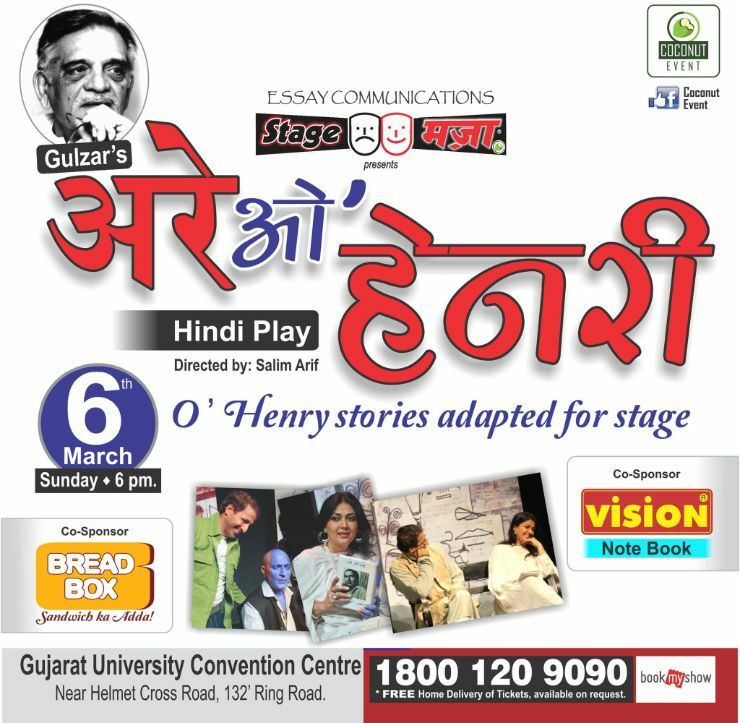 Gulzar has adapted a few of his stories for the stage, collated in a show titled Arre O’Henry, directed By Salim Arif. ‘Salma’ is about a woman in black that has been a fascination for a gentleman trying to woo a younger woman with her constant reference that leads to a bizarre end. ‘The Love Philtre of Ikey Schoenstein’ as ‘Nuskha’ opens on a scene of two men playing cards. One of them however, is playing a much bigger game. ‘While The Auto Waits’ as ‘Madam’ is a story about a lady with fine taste. Her style and demeanor spoke of her status but there is something about her. What’s her secret? ‘The Barber Talks’ as ‘Baal Baal Bache’ is a story about a barber who cons a willing customer with a formula to cure baldness, and in return gets a handful. Enacted on stage by Amit Behl, Nisar Khan, Yasir Khan, Anil Mange, and Lubna Salim along with others, the show by Essay PPL presents the master writer’s humourous take on O’Henry’s classic short-stories rendered in Indian context in his signature chatpata style.